As laser technology advances, doctors are using Laser Resurfacing to treat many conditions previously difficult to remedy. Today, doctors have lasers of different strengths which use different light bands and energy levels to treat many of these problems. Laser Resurfacing is now used to reduce signs of aging, to even out skin tone, to reduce pore size, and to eliminate acne scars. Doctors have found laser resurfacing to be effective on scarring, birthmarks, and rosacea. Some doctors are even using it as a treatment for stretch marks. Laser Resurfacing works by heating the blood vessels in the skin. This forces the skin to repair itself. 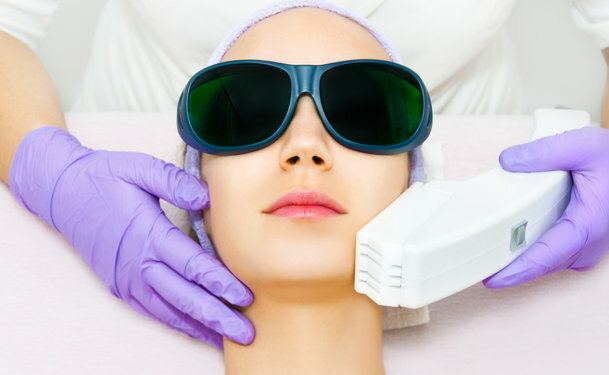 During Carbon Dioxide Laser Resurfacing, the laser emits either short bursts of light energy or continuous beams which destroy blood vessels without damaging the skin. This will increase produce greater collagen production and boost new skin growth. What areas of the body does Laser Resurfacing treat? Lasers are being used on almost every area of the body where the skin has been damaged. Laser Resurfacing is used most often on the skin of the face, neck, chest, arms, and hands. It can also be used on the shoulders, back, and abdomen in certain cases, but patients can cover these areas more easily so treating them is less common. 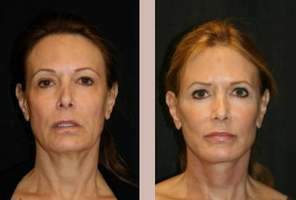 What are the advantages of Laser Resurfacing over other similar treatments? Some methods of treating signs of aging require general anesthesia and ablation of the skin. Laser Resurfacing does not. Laser Resurfacing does not result in a long recovery, and most patients have little pain. The effects of Laser Resurfacing can last for years if the patient follows his or her doctor’s advice and stays out of the sun. Some chemical peels require at least quarterly maintenance treatments. Laser Resurfacing is perfect for adult men and women who desire to slow the signs of aging or have other problems of the skin which are aesthetically displeasing. It is not appropriate for patients with open infections or autoimmune diseases. Patients who have darker skin should discuss with their provider the best laser treatment for their particular condition, as some lasers can cause spotting or pigmentation issues. How is Laser Resurfacing performed? Depending on the type of Laser Resurfacing to be done and the area to be covered, the patient may be given a light tranquillizer to take before the procedure, and a numbing cream may be applied to the face. Then, after protecting the eyes, the doctor will pass the laser across the skin in small sections, moving both vertically and horizontally, to prevent missing a section. The patient should only feel the face beginning to warm and sometimes a pinching sensation. Some doctors use a cooling system during the process to keep the patient more comfortable. After completion, the doctor may cover the area with a sterile dressing. The whole process usually takes less than an hour. Recover depends on the type of Laser Resurfacing that is done. Ice packs and acetaminophen are encouraged for pain. Patients can be on their feet immediately and can wear cosmetics to hide any discoloration. Some procedures heal in several days, for other processes the doctor advises taking a week off work. At first the skin will be pink. Then, it may flake as the skin cells are sloughed off and new ones develop. In time, Laser Resurfacing will leave the area firmer, less wrinkled, and free of blemishes. Bacterial infections can develop after Laser Resurfacing, but these can be treated with antibiotics. Rarely, patients have trouble with hypopigmentation or hyperpigmentation. Is Laser Resurfacing approved for use in the U.S.? Laser Resurfacing has received FDA approval. Is Laser Resurfacing covered by insurance companies? Neither Medicare nor insurance companies will cover the cost of aesthetic Laser Resurfacing, but many doctors will work with the patient on a payment plan.